Goodreads says, "The majestic and haunting beauty of the Italian Alps is the setting of the first meeting of Enza, a practical beauty, and Ciro, a strapping mountain boy, who meet as teenagers, despite growing up in villages just a few miles apart. At the turn of the last century, when Ciro catches the local priest in a scandal, he is banished from his village and sent to hide in America as an apprentice to a shoemaker in Little Italy. Without explanation, he leaves a bereft Enza behind. Soon, Enza's family faces disaster and she, too, is forced to go to America with her father to secure their future. Unbeknownst to one another, they both build fledgling lives in America, Ciro masters shoemaking and Enza takes a factory job in Hoboken until fate intervenes and reunites them. But it is too late: Ciro has volunteered to serve in World War I and Enza, determined to forge a life without him, begins her impressive career as a seamstress at the Metropolitan Opera House that will sweep her into the glamorous salons of Manhattan and into the life of the international singing sensation, Enrico Caruso. From the stately mansions of Carnegie Hill, to the cobblestone streets of Little Italy, over the perilous cliffs of northern Italy, to the white-capped lakes of northern Minnesota, these star-crossed lovers meet and separate, until, finally, the power of their love changes both of their lives forever. Lush and evocative, told in tantalizing detail and enriched with lovable, unforgettable characters, The Shoemaker's Wife is a portrait of the times, the places and the people who defined the immigrant experience, claiming their portion of the American dream with ambition and resolve, cutting it to fit their needs like the finest Italian silk." Ciro and his brother have been dealt a tough hand. Their father, who went from Italy to America in order to work in the mines, died in a tragic mining accident. This effects their mother greatly and in turn, her health suffers and she cannot take care of her two boys. She leaves them with nuns who take care of them as they grow up to be young men in the Italian Alps. 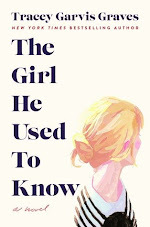 Ciro meets Enza, a young girl who lives in a neighboring town, and even though they are teenagers, their connection is unforgettable. Coincidentally, Ciro is sent to America after catching a priest in a scandal, but thankfully, he is sent to work as a shoemaker's apprentice and Enza also goes to America to earn more money for her family as a seamstress. They don't know that they both have come to America and when they run into each other in New York, it seems like fate. However, we all know that the road to true love is not paved smoothly. There are many unforeseen events that the couple deals with, such as, timing, survival, World War I, other suitors, and establishing careers. Readers can't help but question, will they ever have their chance? Adriana Trigiani's latest work of fiction, The Shoemaker's Wife, is a sweeping tale of true love, sacrifice, hard work, friendship and family. It tugged on my heartstrings more than any other novel this year has and is most definitely a 2012 favorite. Ciro is a determined guy that you can't help but admire. He always tries to do what is right even if it means getting into trouble or dealing with difficult consequences. Once he makes his way to America to become a shoemaker's apprentice, I admired him even more as he assimilated into the American way of life. Enza is also a delightful character that I adored right off the bat. She is also determined and has a bumpy road when she arrives in America. She deals with some tough situations, but with some perseverance, she is able to turn things around for herself. Ciro and Enza's love story is incredible in The Shoemaker's Wife. It reminded me of my favorite literary couples (Rhett and Scarlett, Elizabeth and Mr. Darcy, etc). That's how good their story was. It was the kind of epic tale that must be put on the big screen. It was beautiful and what makes it even more special is the fact that Trigiani based it on her grandparent's love story. Cue the sighing and swooning. The setting is also amazing. 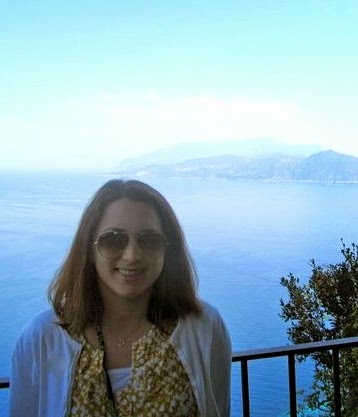 I loved Trigiani's descriptions of the Italian Alps as well as New York City. She really brought Italy to life and I found myself basking in her descriptions of the quaint Italian town set against the majestic Alps. The time period is also extremely fascinating (World War I) and Trigiani really made me feel like I was part of it. Personally, I connected with this book because my grandmother traveled from Italy to Ellis Island when she was a child. I find the immigrant experience to be so inspiring and Trigiani keeps it "real" in that sense as things weren't always sunshine and rainbows for the immigrants. Also, I think it's important to remember how many immigrants worked tirelessly to provide a better life for their families and left the only home they have ever known to come to America. It's quite a sacrifice and Trigiani portrays it perfectly. In a world where many things currently come easy to us (ahhemm....first world problems), The Shoemaker's Wife is a refreshing reminder of what immigrants had to go through and the beauty of the American Dream. I relish a good historical love story that is all-consuming and spans many years. Readers will find exactly that in The Shoemaker's Wife. It had me crying, laughing, and angrily turning the pages when I was upset for Ciro or Enza. And I must mention again that the cherry on top of this delicious sundae is the fact that the story is based on Trigiani's own grandparents. I can't help but smile when I think of this real life fairy tale. Excellent review! This is definitely one of my favorite books of 2012 too. I hope someone makes a movie out of it. 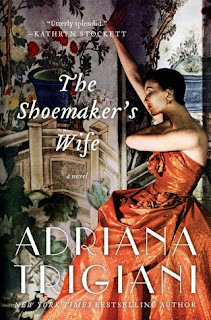 The Shoemaker's Wife is the only Adriana Trigiani book I've read and I want to try her other books after reading this one. I loved that it was based on her grandparents' story. Very inspiring and touching! Thanks, Christina! You must read her other books. My favorite is Lucia, Lucia and the Valentine series. Thanks for stopping by! I was going through my TBR list the other day and was deciding whether to keep this one or delete it and finally decided to keep it. And now thanks to your awesome review, I may just push it up a little higher and read it soon. I really love a good historical romance. Great review, Christina! I have never read Trigiani before, but this sounds so like my kind of book. I love an epic historical and the Italian setting sounds great! I really loved this story. It made me think of what is was like for my relatives who came over to this country from Italy and what they had to go through. I didn't want to put it down and I didn't want it to end! The characters were very real and strong. I'm not sure I could move away from family to a foreign country like they did and survive as well as they did. I want a sequel.